“It all began when we were working on a job where some downlights were being installed, and somehow the drawing of where they were supposed to go had been misplaced,” explains 35-year-old, Charles Ellis. That light bulb moment was some three ago now but, with the able assistance of business partner and investor Phil Hardy, Charles has since successfully launched Plasterspot. 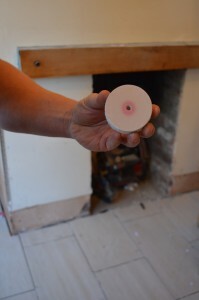 His invention is essentially a coin sized indicator sticker, available in packs of 25, which are placed individually on the plasterboard surface prior to going over with a skim coat of plaster. The dye on one side of the sticker then bleeds through the drying plaster leaving an accurate indication of where hidden cables, pipes, and joists are, whilst it can also mark the location of downlights, radiators, wall sockets, switches and much more. The clear, well-defined spot will give later trades an accurate marker for drill points, or water and electrical feeds, without the need to rely on drawings. As a result, all guesswork is removed, and potential costly and time consuming remedial work in rectifying damage when fixings have been positioned incorrectly can be avoided. As many tradesmen turned inventors have found before him, however, the road from time saving solution to finished product can be an arduous journey of prototyping and testing, not to mention sourcing a company that can actually make the thing, but Charles is in the privileged position of being in full command of the production process, from a site in Tideswell, Derbyshire. “At first I tried making it on my own and trying it out on my own jobs just to prove to myself that it could actually work, but Phil’s knowledge of manufacturing proved invaluable in taking the idea to the next level. We also had to be sure that the dye will in no way react with the gypsum plaster and that the paper was thin enough to be concealed behind what is only a 2 ½ – 3mm skim coat but that the patented dye will still bleed through to leave the tell-tale mark. “I initially came up with the idea as a solution for downlights but the great thing is that tradesmen are actually finding their own uses for it. 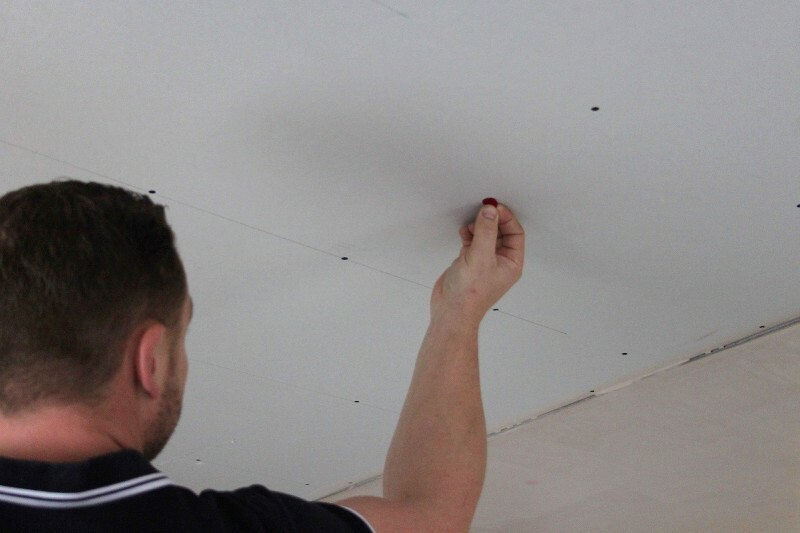 If you’re working on a kitchen extension, for instance, and you’ve removed units for replastering you can pinpoint exactly where they might need to go back with Plasterspot. People have also been using them to mark the position of radiator brackets so plumbers can reposition them in exact relation to the pipework and in each instance it’s a quick and easy solution.